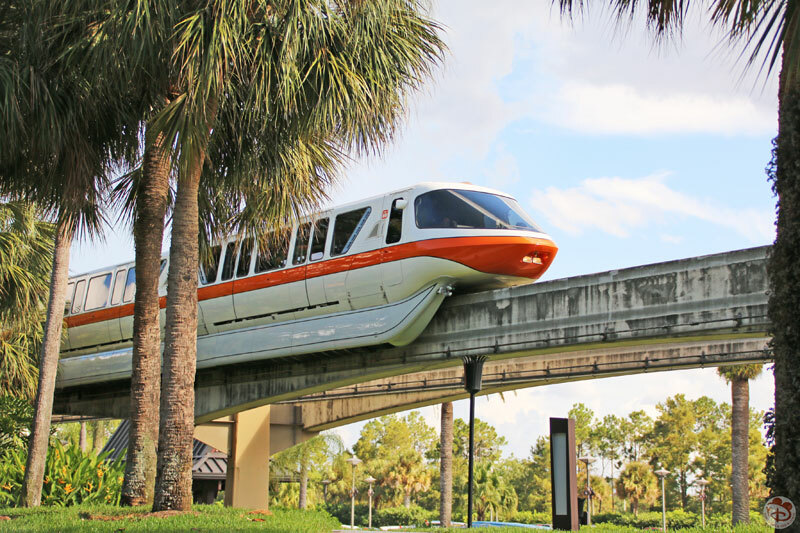 Day 8 of WDW-40, the latest of my Disney Trip Reports, is here! 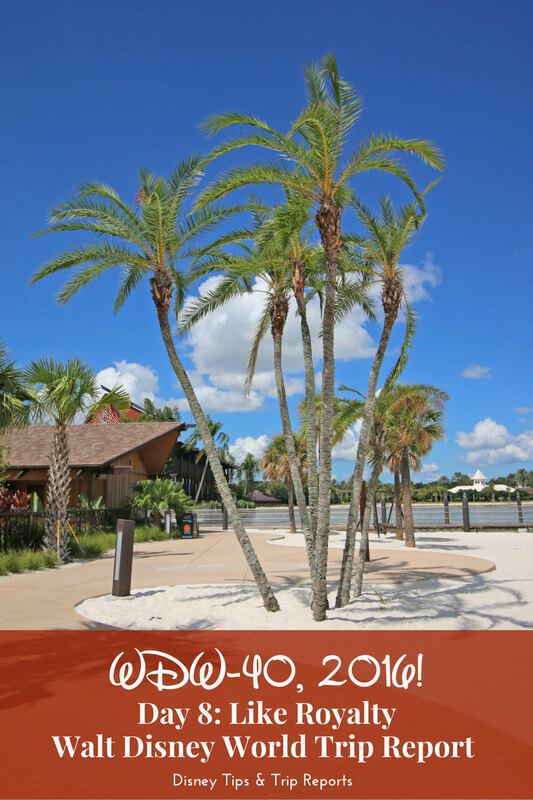 Today I’m continuing my tour of Disney’s Polynesian Village Resort, as well as telling you about the amazing dinner we had at Victoria & Albert’s, at Disney’s Grand Floridian Resort & Spa. 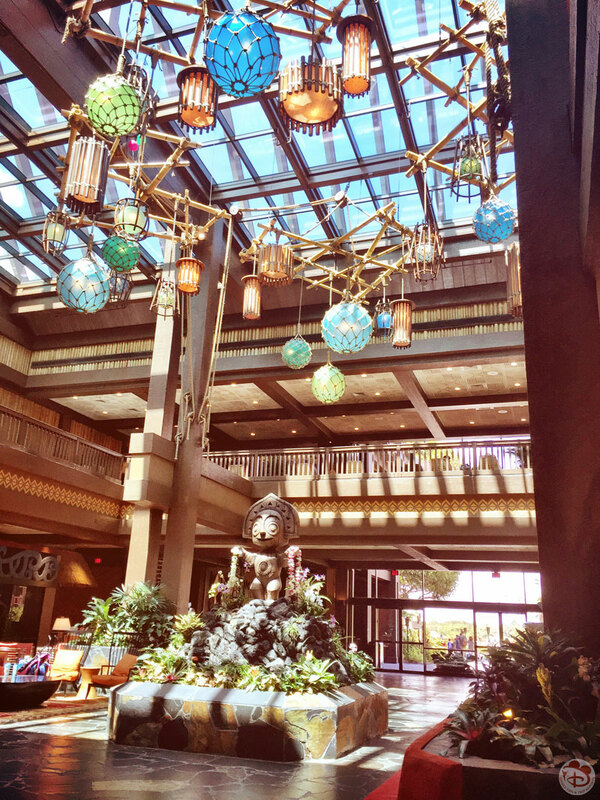 Following on from yesterday’s tour of our (DVC) Studio Room at Disney’s Polynesian Villas & Bungalows, it’s time for me to show you what Disney’s Polynesian Village Resort is like! 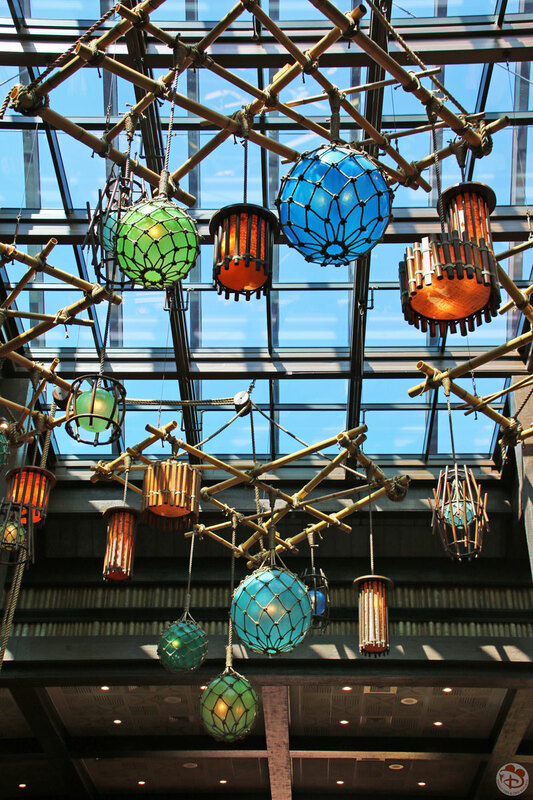 Naturally, since it is our Home Resort, I am in love with the place – but have always liked the style and themeing at Poly. I always say it, but if there is one thing Disney does very well it is the attention to detail of their themes around the parks and resorts. Back to the resort tour! 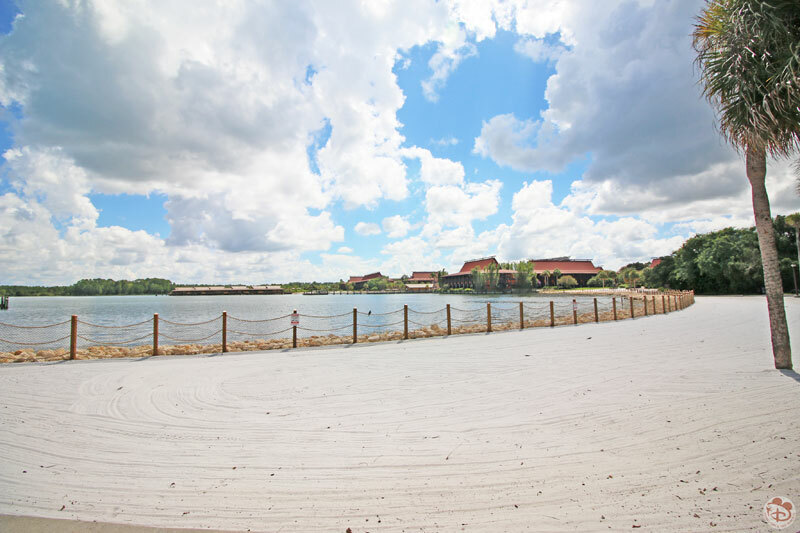 I will confess, that I don’t have photos of the various amenities around the resort – mainly because I thought I took them, but on writing this report, realised I hadn’t, but also because we didn’t necessarily go to/see/use that part of the resort. I’ve been going through photos from previous years to see if I can make up the gaps, as I really don’t like not having photos to accompany things! 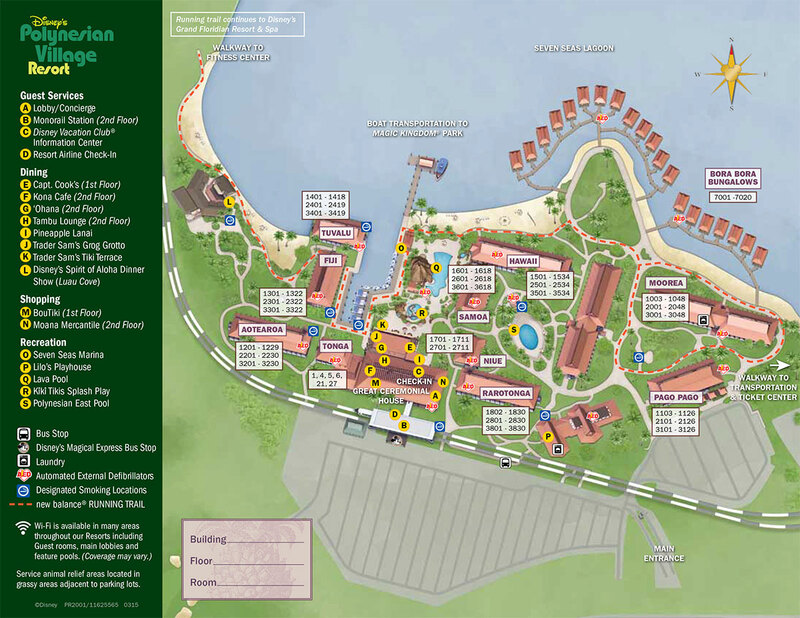 I’ll start off with the resort map – it’s a slightly older one, as for some reason it hasn’t got the Tokelau longhouse listed on it. For reference, it is the building between Moorea and Hawaii. 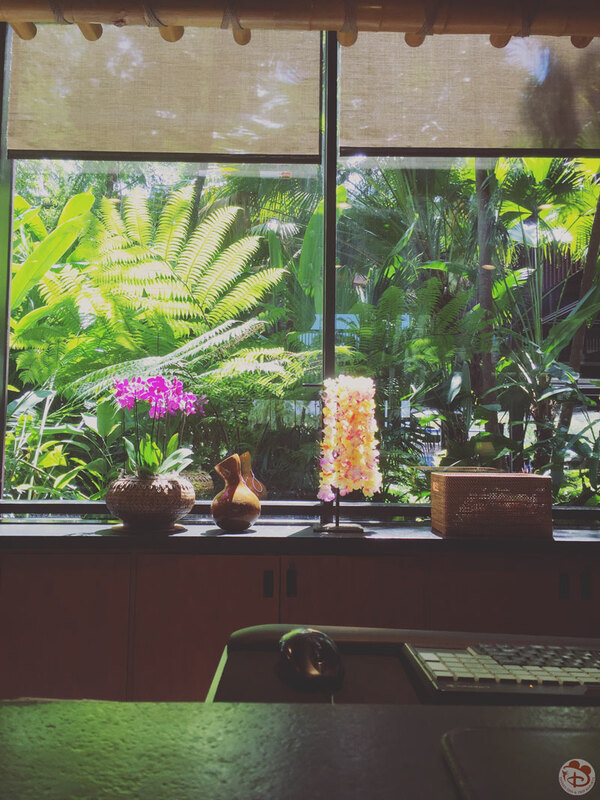 The Disney Vacation Club rooms are located in Tokelau, Moorea, Pago Pago, and of course the Bora Bora Bungalows, which are crazy expensive. If you are a regular guest to the resort, you’ll have a room in one of the other longhouses. 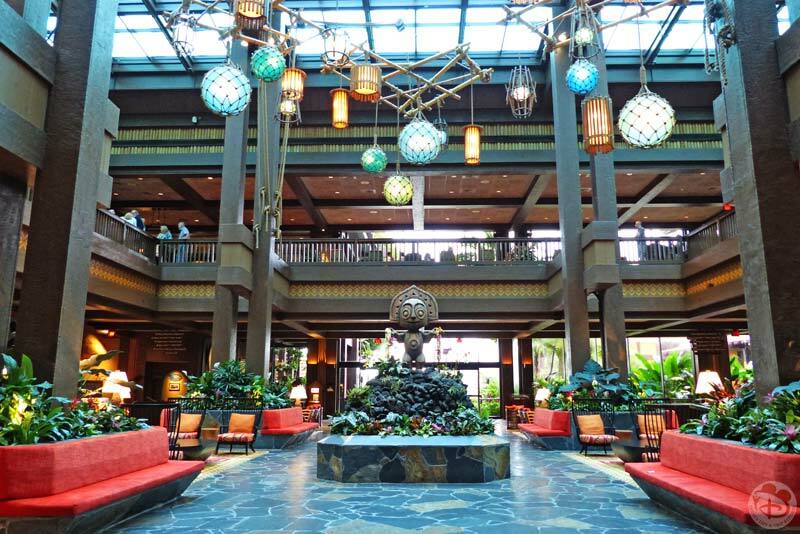 The Great Ceremonial House is the main hub of the resort – the lobby, guest services, shops, restaurants and more. It is set out over two floors, with the 2nd floor being “cut out” and a huge glass roof allowing lots of light in. The whole feel is retro tropical, and like something out of the 60s or 70s in design. I love it! 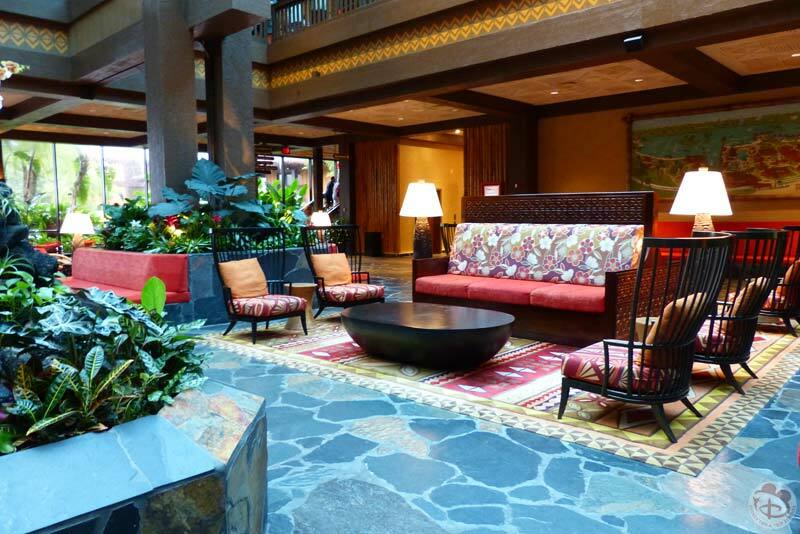 Granted, it’s not as homely and cosy as the lobby at Wilderness Lodge, which I adore by the way, but it is a nice space to hangout in if you’re having some time away from the parks. 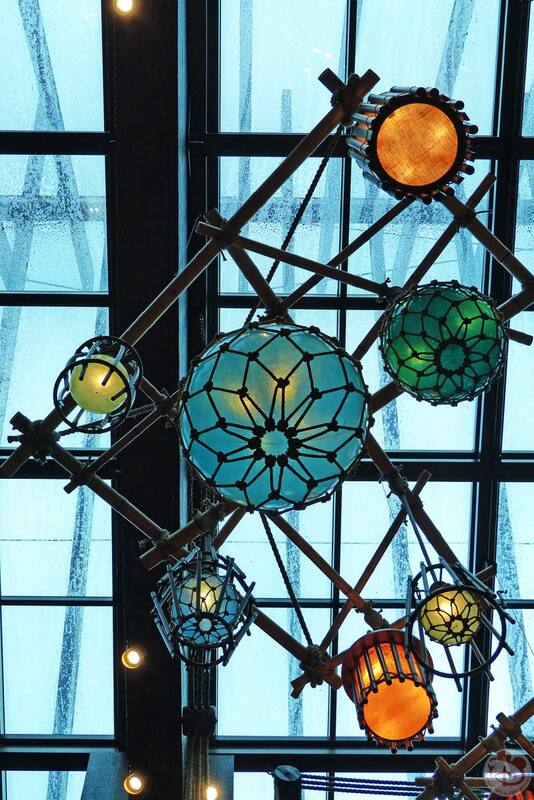 I think I love the lights in the center of House the most – absolutely gorgeous! 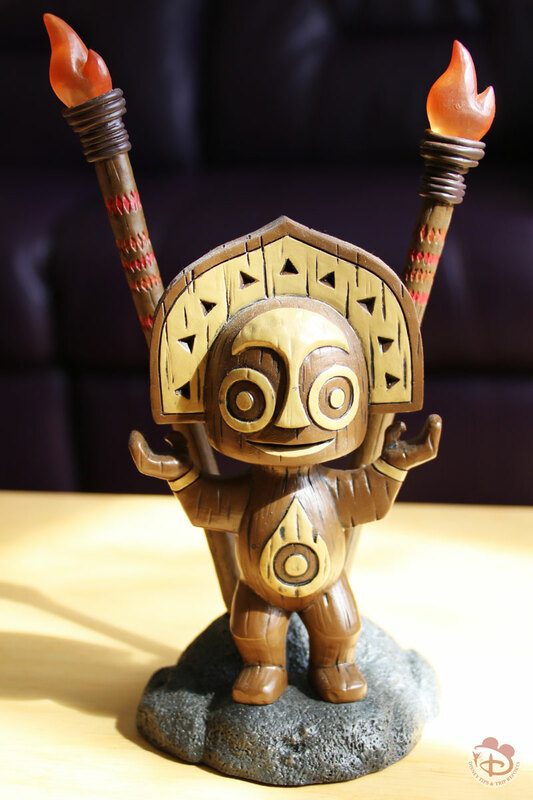 In the center of the lobby is the statue of TikiGod Maui, and you can buy little statues of him at the resort too. Steve ended up buying one for me when I wasn’t feeling well in our second week – at over $50 they are not a cheap souvenir! Pic below! Before the huge makeover of the Great Ceremonial House in 2014, there was a lush rock waterfall instead of the statue. It was stunning, and made me fall in love with Poly on first sight. I knew one day I wanted to stay at this resort, but never dreamed we would actually become Disney Vacation Club Members here! I’ve dug through my old photos from 2013 and included a photo of the waterfall below. There are various types of seating in the Great Ceremonial House, I personally love the bucket type seats (in the picture below, don’t know how to describe them!) as you can really lounge back in those! I’m not a fan of the bench type seating though – not as comfy! As I said, this is the main hub of the resort, so you’ll find the check-in desk, guest services, concierge services, bell services (just outside the entrance). 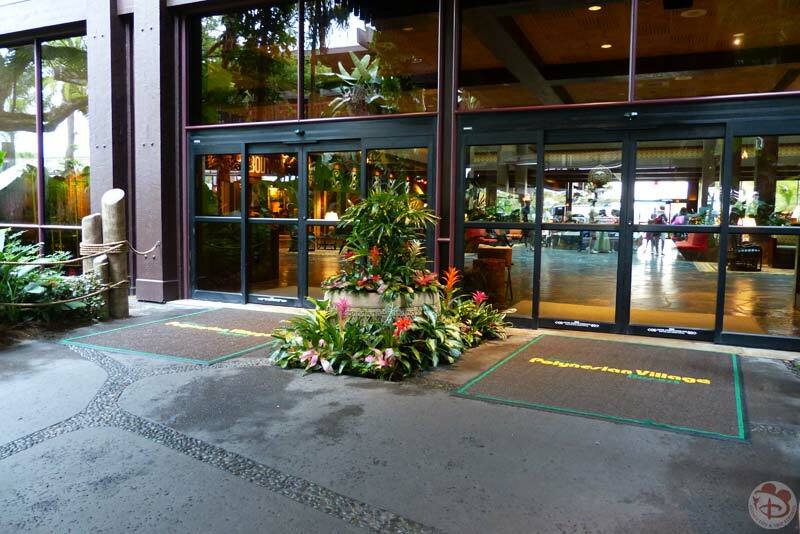 Speaking of the entrance, it is lined with tropical flowers and plants, tiki torches, statues, and waterfalls. 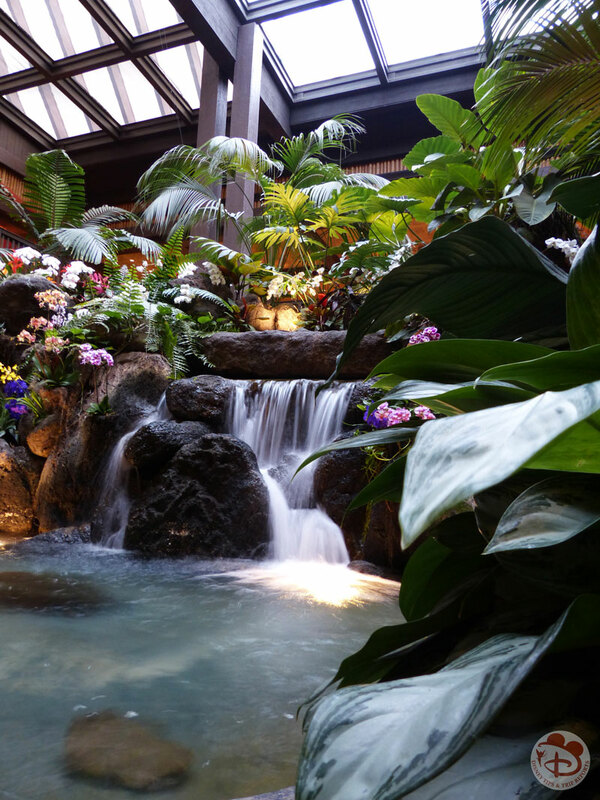 In a word, this resort is lush! 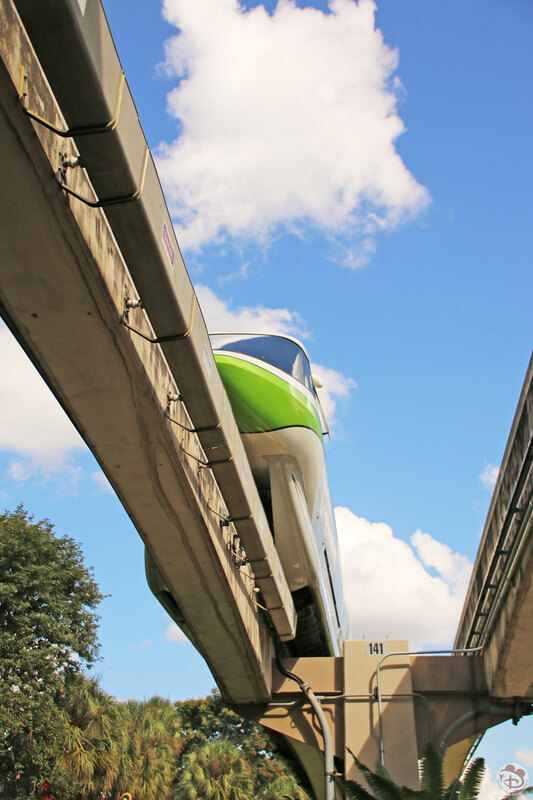 The Monorail glides above the entrance – you catch it from the station on the 2nd floor. 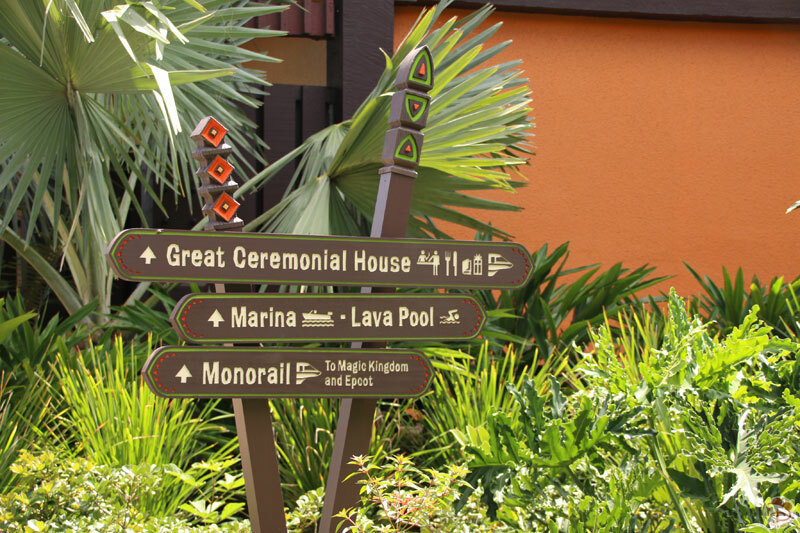 As well as catching the Monorail from the Great Ceremonial House, you can also catch it at the Transportation and Ticket Center. 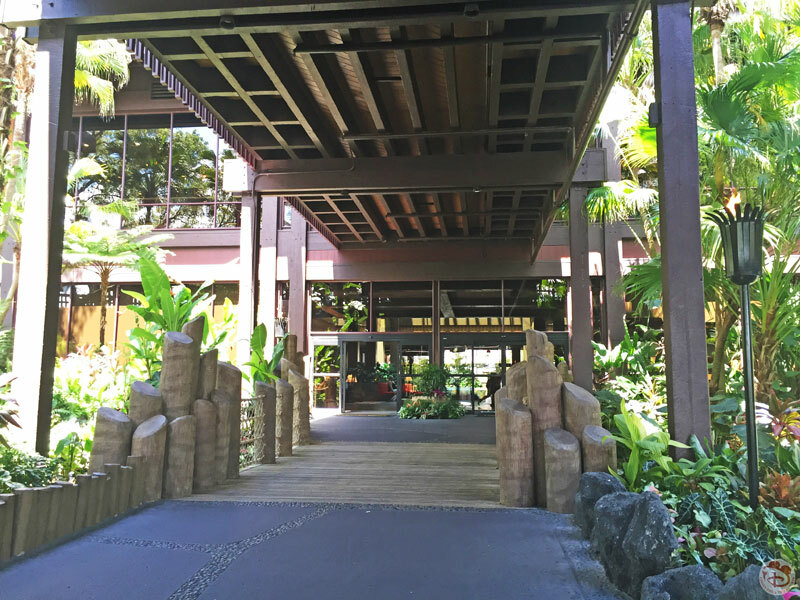 There is a walkway that is is very near to the Moorea and PagoPago longhouses, and we used it all the time to get to Magic Kingdom and Epcot. We drove to the other parks, so we didn’t use the Buses at this resort. I don’t actually remember seeing the bus stand (I do seem to have a photo of the sign for it though! ), but if you look on the map, it is to the east of the front entrance, kind of in line with the Rarotonga longhouse. We only used the Ferryboat once during this trip – on a very, very rainy and stormy 1st October night when the monorail wasn’t operating because of the weather. But I’ll tell you more about that on that day of the trip report! 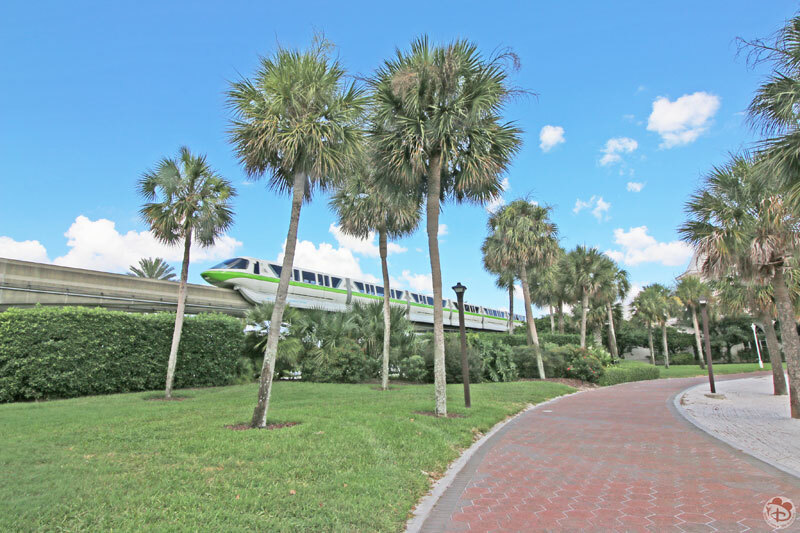 But yes, you have the Ferryboat at TTC that you can catch to and from Magic Kingdom. The Resort Boat dock is at the back of the resort, to the west of the Bora Bora Bungalows. These boats do a loop around Seven Seas Lagoon, and also stop at Magic Kingdom.